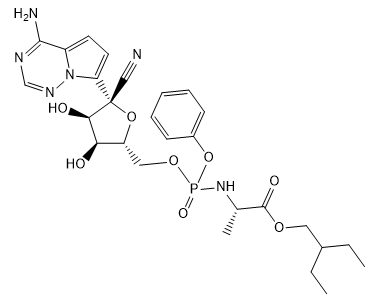 Remdesivir is a nucleoside analogue, with effective antiviral activity, with EC50s of 74 nM for ARS-CoV and MERS-CoV in HAE cells, and 30 nM for murine hepatitis virus in delayed brain tumor cells. Thioguanine is an antineoplastic compound which also has antimetabolite action. The drug is used in the therapy of acute leukemia.